Lakewood Ranch Dentist, Dr. Allison O&apos;Brien, is your solution for Dental Health and Wellness, Cosmetic Dentistry, TMJ, Bite Problems, and Special Needs Dentistry. Meet Dr. Allison O'Brien See Our New Location! Dr. O'Brien believes that your oral health and your overall health & wellness are directly linked to each other. That's why she recommends a philosophy of complete dental care that includes your teeth, joints and even the surrounding muscles. Long-term dental health starts with education to ensure comfortable and predictable outcomes for your procedures. Dr. O'Brien is trained by the Dawson Academy to provide treatments, such as occlusal adjustment, that effectively target the root causes of TMJ pain. After a thorough examination, Dr. O'Brien will discuss your treatment options with you. TMJ symptoms can drastically affect the quality of your life. Schedule your consultation today. Dr. O'Brien offers dentistry to patients with special needs or with severe dental anxiety through a local outpatient surgery center. Patients wake up with no memory of the procedure, ready to be escorted home by a loved one. Treating patients while they sleep allows special needs adults and select patients to receive the care they might otherwise avoid. Doctor of Dental Medicine Allison O'Brien is proud to provide general and advanced dental services in Lakewood Ranch, Sarasota, and Bradenton. Whether you are looking for a general dentist or whether you are interested in our additional services, including clear braces and treatments for TMJ disorder or sleep apnea, you have found the right place. Dr. O'Brien believes that there is more to oral health than just your teeth. That's why we follow the Dawson Academy's philosophy of complete dental care. Complete dental care takes into account not only your teeth but also the surrounding joints and muscles, all of which must work in harmony to provide a solid foundation for oral health. Complete dentistry seeks to diagnose underlying dental problems before recommending a treatment to ensure that the outcome will be a comfortable, balanced bite and long term dental health. Dr. O'Brien takes this comprehensive approach to all dentistry, from preventative to cosmetic, and devotes numerous hours annually to continuing education as part of her commitment to bringing the latest techniques and treatments to her patients at O'Brien Smiles. We care about you and your smile A beautiful smile is within your reach. Whether you need simple teeth whitening or a restoration with our beautiful dental crowns and bridges, our practice takes advantage of many advances in dentistry which enable us to provide more effective treatments with less discomfort. The use of lasers in dentistry allows us to have more control in precision treatments and to perform less invasive procedures and if you are missing teeth, in many cases, our dental implants are the preferred replacement option. Dr. Allison O&apos;Brien is an Invisalign dentist who specializes in smile makeovers, providing patients with a smile they can be proud of. Since all crooked smiles are different, every treatment plan will vary. Additionally, Dr. O&apos;Brien looks beyond crooked teeth to the entire chewing system in order to provide solutions that will enhance your smile for years to come. 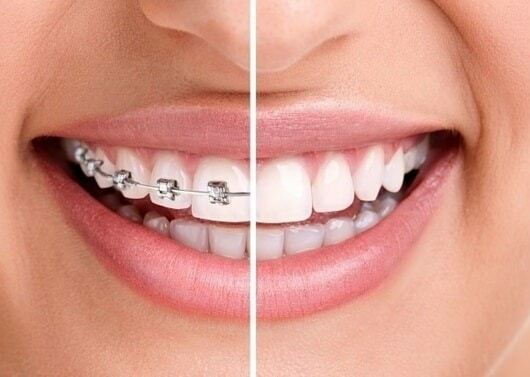 Using Invisalign means no metal and wires and that means you spend less time in our office getting adjustments. Invisalign also allows you to view your virtual treatment plan when you start so you can see how your straight teeth will look when your treatment is complete. Feel Confident When You Smile! 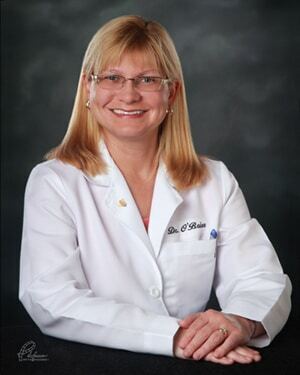 Dr. Allison O&apos;Brien is the dentist of choice for many people in the Sarasota/Bradenton area. Her experience, dedication and continuous learning sets her apart from many dentists in the area. Contact Dr. O&apos;Brien today and see why she will be your dentist of choice! Dr. O'Brien is a full service dentist that has the experience to handle any dental treatment. Whether general dentistry, crowns, fillings, root canals, dentures and more, Dr. O'Brien is ready to help. When other dentists need work done on their teeth, Dr. O'Brien is their doctor of choice. She routinely gets referrals from dentists from all over the country. Dr. Allison O'Brien has made annual mission trips to implement oral hygiene programs in villages of Central America, most recently in the jungles of Belize. Knowing all dental and medical options to make the best decision, Dr. O'Brien can guide you through the process. Dr. O'Brien continues her dentistry education to provide the latest and best services. Dr. OBrien has the dental experience to give you the best service available. There are many ways to improve your smile and Dr. O'Brien can help you find the best solution. Dr. Allison O'Brien is a cosmetic dentist who specializes in smile makeovers, providing her patients with a smile they can be proud of. Since all smiles are different, every treatment plan will vary due to your specific situation. Additionally, Dr. O'Brien looks at your entire chewing system in order to provide the best predictable solutions that will enhance your smile for years to come. Dr. Allison O'Brien is a Dawson Trained Dentist that specializes in cosmetic dentistry for Implants, Dentures, Bridges, Crowns, Invisalign, Dental Reconstruction, Porcelain Veneers, Teeth Whitening or Dental Contouring. TMD is a common expression referring to the temporomandibular joint disorder. It is sometimes also referred to as TMJ after the Temporomandibular Joint. TMD (or TMJ) includes muscle issues that affect jaw movement, facial pain around the jaw joint and a variety of other problems that can show up within the joint itself. Chronic pain in your jaw and face, popping sounds while chewing or talking, headaches, and lockjaw are a few symptoms associated with TMJ. This variety makes diagnosis and treatment challenging. An accurate diagnosis is critical for successful treatment. Dr. O'Brien is experienced in the identification and treatment of TMJ and can pinpoint the source of your pain. Click Here to learn more. We are grateful for our dentistry patients that visit us from many different areas including Sarasota, Lakewood Ranch, Myakka, Bradenton and even Arcadia! Thank you! Follow us on Facebook for news about our dental practice.